GReads! 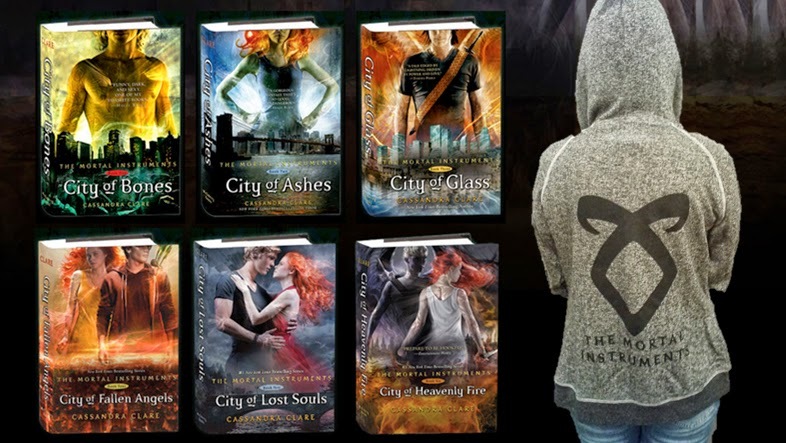 : Win THE MORTAL INSTRUMENTS - The Complete Series! Win THE MORTAL INSTRUMENTS - The Complete Series! The Mortal Instruments - The Complete Series! One (1) winner receives a complete set of The Mortal Instruments series and a Mortal Instruments hoodie. 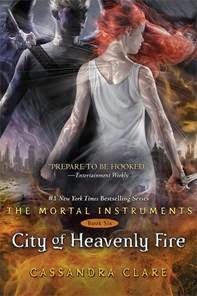 City of Heavenly Fire is the final book in the #1 Bestselling The Mortal Instruments series. I would love to be able to teleport or maybe the ultimate power of speed. Like physical and mental. I would LOVE to be able to read a book fast. I would be able to speak (and understand) all languages. I would be able to make anyone have a good hair day. To change my appearance at will. I would want to have mind reading powers. I've always been fascinated with Telekinesis, ever since I started watching Charmed back in the 90s! But Piper's ability to freeze things and blow things up was pretty epic, too! Yeah.. I'll go with being able to blow things up. Can't beat that! Thanks for an epic giveaway! Thanks for such an amazing giveaway...I'm keeping my fingers tightly crossed! I'd love to be able to time travel. I would really love if I had super strength. I'd love to be able to read and control people's minds!! I'm so nosy, I would love to be able to read minds. :) But only if I could turn it off when I wanted some peace and quiet! If I had a super power it would totally be invisibility. But I'd have to have control over it. Or if that's not a thing, I'd totally want Elsa's Frozen powers. Building an ice palace? Yes, please. I think I'd have to choose Time Travel, just because of how big of a Doctor Who fan I am! Time travel would be awesome! If I were to have a superpower, I'd want to time travel. Think of all the cool places and things you could see! One of the first places I would go would be Ancient Egypt. I still think that teleportation would be the best superpower...being able to travel the world and eliminate my commute to work would be awesome! If I had a superpower, I would want it to be telekinesis or invisibility. Not sure this counts as a power per se, but I'd love to have a Tardis! I have been dying to try these books! Thanks for a great giveaway!! If I had a superpower it would be the ability to know if someone is lying or not. I know it sounds corny and not as cool as being able to fly or something else, but because of recent events in my life....right now it would be the ultimate power to me so people wouldn't be able to take advantage of me or get something over on me. So a lie detector power it is! That is a hard question. There are so many superpowers I would love to have. I think I would like teleportation like Nightcrawler. Or Telekinesis.